Northern Ireland was brilliant. 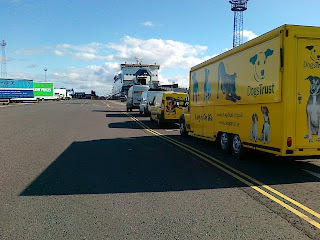 The ferry over was very calm, much better than the gales we had last year! We did have a bit of rain whilst we were over there, well ok... quite a bit! But, hey, what’s a bit more rain this year?! 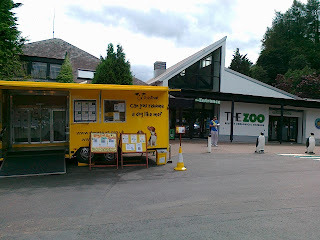 One of our venues was at Belfast zoo. It was great, and the little dog we had on that day found a home with a lady who saw us there and fell in love with her. After a swift visit to the Ballymena centre following all our usual rehoming procedures, Sweep the GSD cross is now living happily in her new home with her new doggy friend. 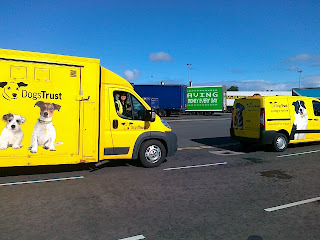 Since then, we have been to the Bucks County Show, (which again was VERY muddy after torrential rain the day prior to the show), and yes we were towed out of the showground again. 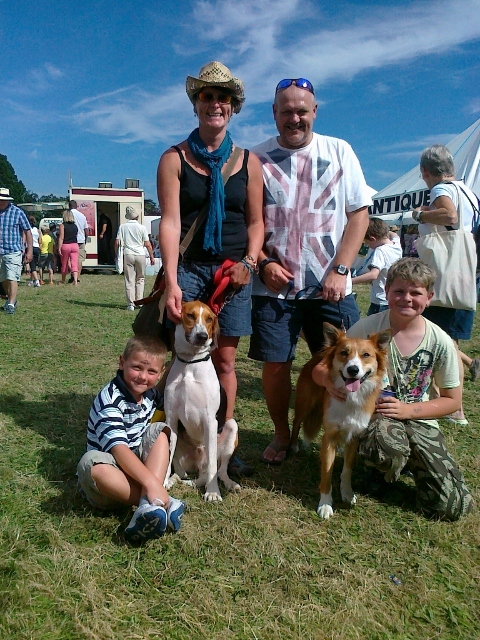 But there was light at the end of the tunnel, because our next show was the Romsey Show, and it was HOT and SUNNY! Yes, I know, can you believe it? It was such a nice change and everybody who attended the show looked relaxed and happy, which I must say we haven’t seen a lot of this year. 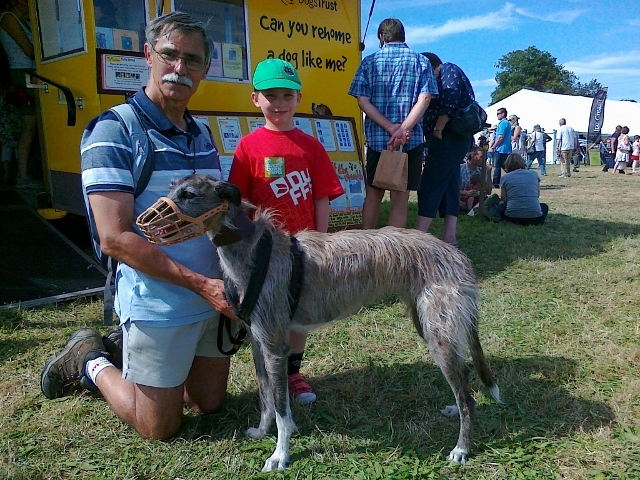 Whilst there we met Tug Wilson and his family who rehomed Rags, a Lurcher we had on the unit at this show in 2011, plus, Sarah Hill and family who rehomed Del (now aptly named Del-boy) a Trailhound we had on the unit at this show in 2010! It was lovely to catch up with them all again and see how they are doing. Don’t they look great? Who’d have thought a day out on the unit would end up with them finding their perfect home... but it did! Next time you see the Dogmobile, come and give us a visit, we’d love to see you and if you happen to be thinking of getting a rescue dog at the same time, you never know, you might just find the dog of your dreams with us. Interested in more Dogmobile updates? You can see Cathy's monthly updates here on our blog or see her previous posts on the original Dogmobile blog.